When one of our clients entered our showroom for the first time, she fell in love with our works and promised she'd come back with a commission. 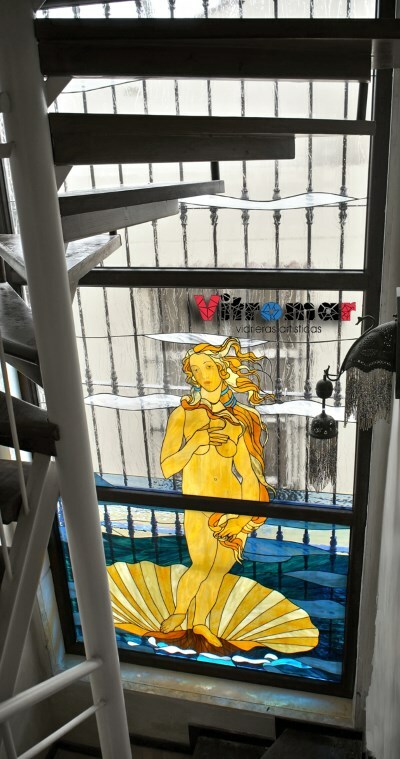 Days later she returned and told me she wanted a Venus figure in a 1.70 x 3.45 meter (about 67" x 136") staircase window. I was really excited, but I already knew that was going to be a challenge. 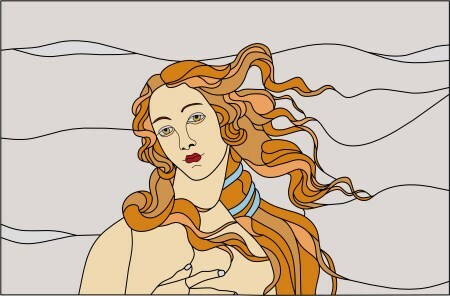 In 1484, Sandro Botticelli painted his renowned work: The Birth of Venus. 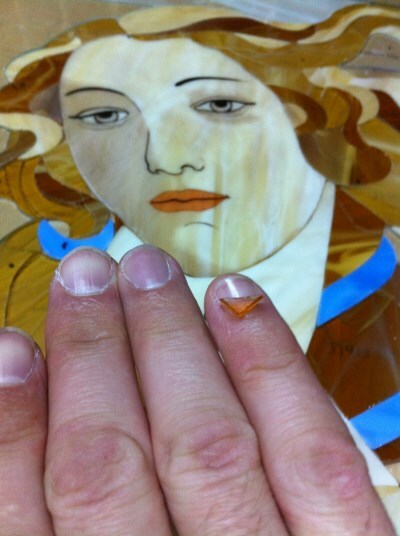 This painting is one of the most famous in the world, and an icon of female beauty, so I felt a great responsibility for making an adaptation to glass of such a important artwork. 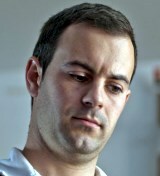 I started by tracing an image of the painting. In Vitromar we have high quality standards, so we use Glass Eye 2000 to be sure of the accuracy and quality of our projects. By allowing me to draw over an image I save a lot of time, and in only a few hours my sketch was finished. 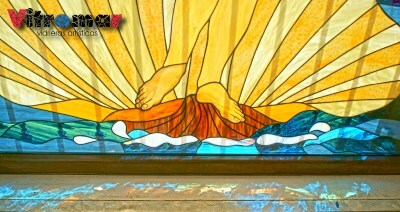 My client was amazed at the realistic quality of the design and immediately accepted the project. 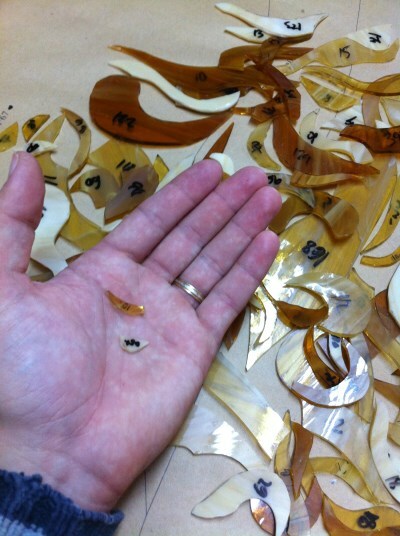 Then starts the real work: cutting and foiling 600 pieces of glass, some smaller than a shirt button (see image below). The process took countless hours, but it was very satisfying work. I enjoy working on such a spectacular project, especially when I see my client's face looking for the first time on the finished work coloring the floor and walls with rays of light. 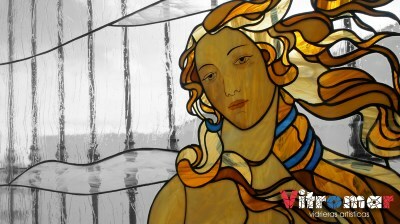 Would you like to see how Venus was made step-by-step in seven minutes? We created a video of the process! For this Design of the Month I've created a "light" version of the design, with a focus on the face and hair. I hope you enjoy working on it as much as I did.